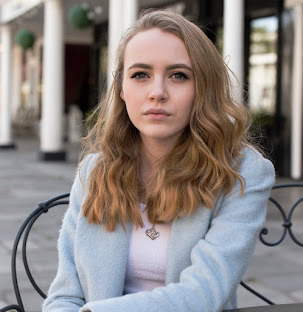 As I love sharing with you guys my favourite beauty bits, I felt inspired to write a blog post all about what I will turn to on a day to day basis. This easy look normally takes me around 20-30 minutes in a morning and is definitely my favourite part of getting ready. I always make sure to start off with a good mattifying base as I have incredibly oily skin around my nose and forehead. After only just recently purchasing the primer I've found that I love the way it makes your pores disappear and makes the application of foundation really easy. 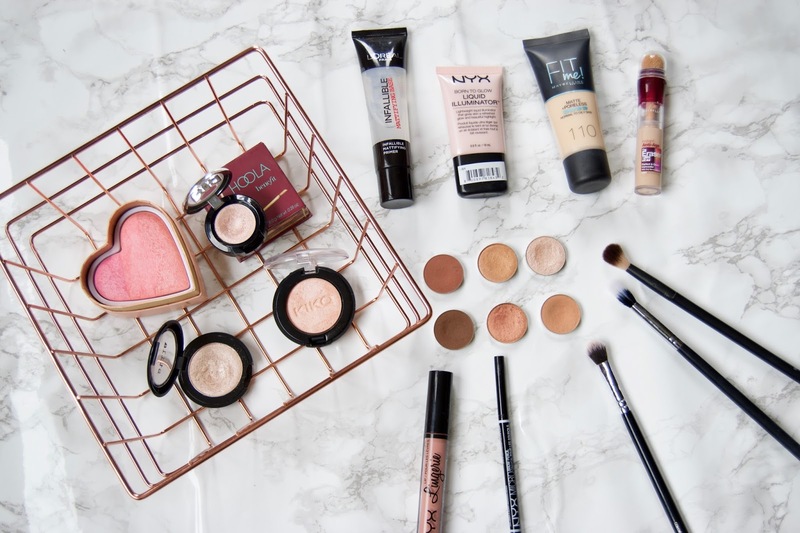 After becoming a student, I soon realised I really couldn't afford to spend a lot of money on makeup so I became slightly obsessed with watching tons of videos on the best drugstore bits on the market. This foundation and concealer cropped up a lot from some of my favourite YouTubers Jeffree Star and Laura Lee, so of course I just had to try them and so far they're doing exactly what I want them to do. Being as snow white as I am, finding the perfect bronzer/contour is hard. 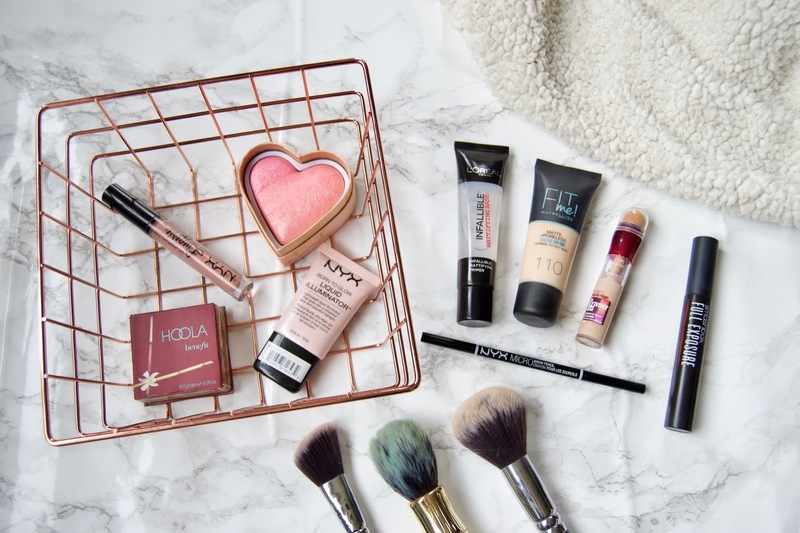 The Benefit Hoola Bronzer is something I've been using since I was about 16 years old and I can't imagine using anything else, it takes ages to run out of so you don't need to buy it as often, which is a plus. It is exactly the same with the Too Faced Sweethearts blush, I've had the same one for around 2 years and it still looks untouched! (Definitely a must buy). I absolutely love highlighters, especially this NYX liquid illuminator, as you can apply it with your fingers to make it a lot more sheer or apply it with a damp sponge and cover with a powder to create a glow that will stay all day! As you can see, I own way too many eyeshadows and in the mornings I always struggle to decide which I want to use. However, these are the eyeshadows that I turn to the most. I love the matte Makeup Geek eyeshadows to use as transitions and to darken up the crease as they're insanely pigmented. 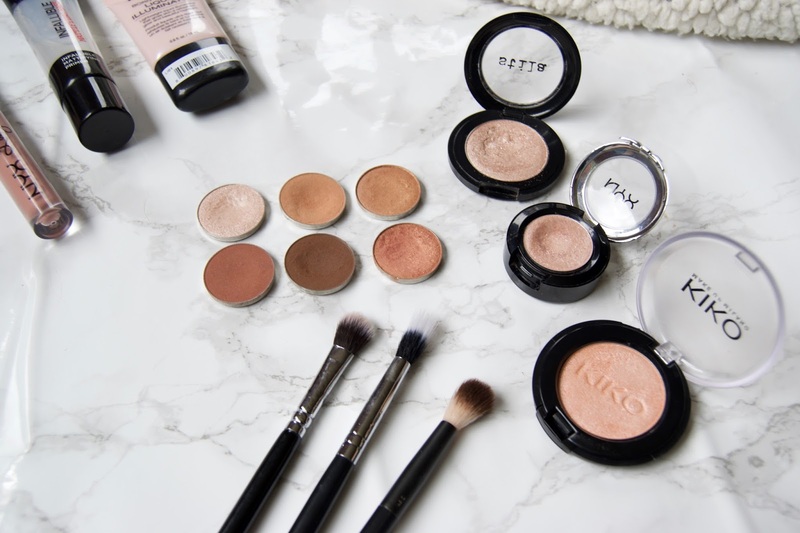 I also adore my shimmer shades so I had to include a few of my favourite drugstore and one higher end, I guess my point is all the shades are similar but it gives you a view of how cheaper products can be just as amazing as the higher end. I normally wear liquid liner during the winter however as this is a summer routine I keep this out as my hay fever will often take my liner off without me knowing so I just stick to my trusty Smashbox mascara to finish off the look. If you followed my previous blog you may already know way too much about these lipsticks as I talk about them a lot but my love for the Nyx Lip Lingeries is never ending. I love the formula, the lasting power that it has on your lips especially through eating and drinking and of course the £7 price tag.